(by R.L. Dabney) Dabney was a Southern Presbyterian theologian who served under Stonewall Jackson in the Civil War. 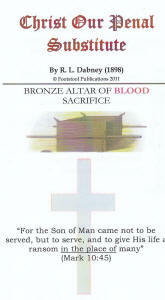 The substitutionary atonement is one of the great doctrines of the faith. Dabney's discussion is at times lively and very forceful, and given the weight of the topic, it is certainly called for. Footnotes have been added for anything technical. (by Thomas Boston, updated by Curtis Crenshaw) Why does God send us trials? Do our trials come from God or Satan? How can we eliminate our current trials? What about the modern prosperity Gospel? If you have trials (are you alive), this book is for you. 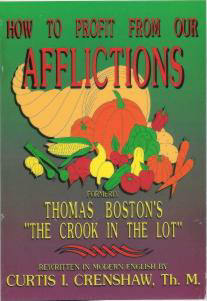 Originally written in the 1700s by Thomas Boston and called The Crook in the Lot, the Rev. Dr. Curtis I. Crenshaw has rewritten the book in modern English with updated examples. Very popular work! (by Curtis Crenshaw) It is parents' responsibility to teach the gospel to their children, and we have made it easy with explanations, memory cues, and verses to memorize. (by Daniel Morse & Curtis Crenshaw) Parents must evangelize their children, and the principal way to do this is with the godly authority God has given them. Submission to authority is the first step to embracing the gospel, and if we don't instill that into our children, they will assume their own authority! 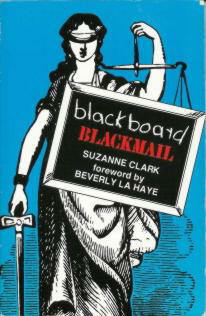 (by Curtis Crenshaw) Who owns the children, the state or the parents? Who is in charge of children's education? How important is a godly education? Find out in this book.